Hey guys and welcome to this low poly medieval sword modeling tutorial. In this tutorial I will show you how to model a low poly sword using Maya modeling tools- by using this technique you would be able to model any kind of sword. This tutorial is designed for intermediate users, before going to start this tutorial make sure you have a fair understanding of Maya's modeling tools, if you are not a Maya user then you can follow along with other 3d applications since the modeling tools are almost the same. So, lets get started. Fire up any version of Maya and import your reference image/images. I found a reference image of a medieval sword while searching google so I would like to share it with you if you want to follow this tutorial as closely as possible. It's time to set our reference image. PS: Make sure you did this in top view port. Now our image is set as a reference image, like in the image below. Use your scale tool to match along the blade with reference image. 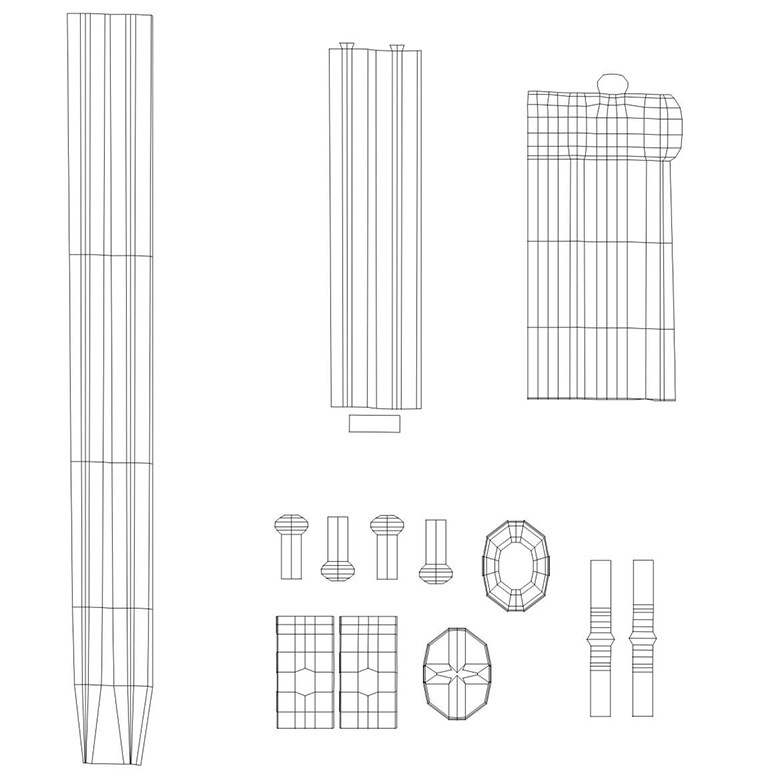 Extrude and use your scale tool to match along the tip of the reference images. We are done with the blade for now. Select the border vertices (leave the middles vertices), but only select the whole vertices in the tip of the blade. By now you should have something like this. ok now it's time to create the fuller (indent in the middle of the blade) as we can see in the real world swords. With the Offset Edge Loop Tool selected click and drag over the middle edge. This will create extra lines for us, which will help us to create the fuller. Once you have created the lines, select the middle edges of the blade (on both sides of the blade) and then use your scale tool to move them down, see in the image. It's time to move on to handle. Select the outer vertices of the handle and move them outside to have a round shape, use your scale tool to move them symmetrically. Go to the face mode and select both sides faces, this should be single faces from both sides to create the guard. Then, use your extrude tool to extrude. Keep extruding and create the round shape at the end of the guard. Use your scale tool to make it round. We will use this tool to create edge loop around the middle of the handle. Now if you click on the middle edges it will appear as a red dot with red lines- its indicating that the edges are being created, so keep creating until you finish from where you started. Select the vertices of newly created edge and move them up using scale tool. With that done, its time to finish the handle, select the entire faces, as in the image below. Hit delete, select the outer edges- we will fill it with polygon face. and now its filled with a polygon face. Select the face extrude it and then use scale and move tools to create a shape. In the top viewport extrude the handle and follow along the reference image. Keep extruding and use your scale and move tools to create the shape. Here we are done with modeling. Now go ahead and start the texturing for your model. 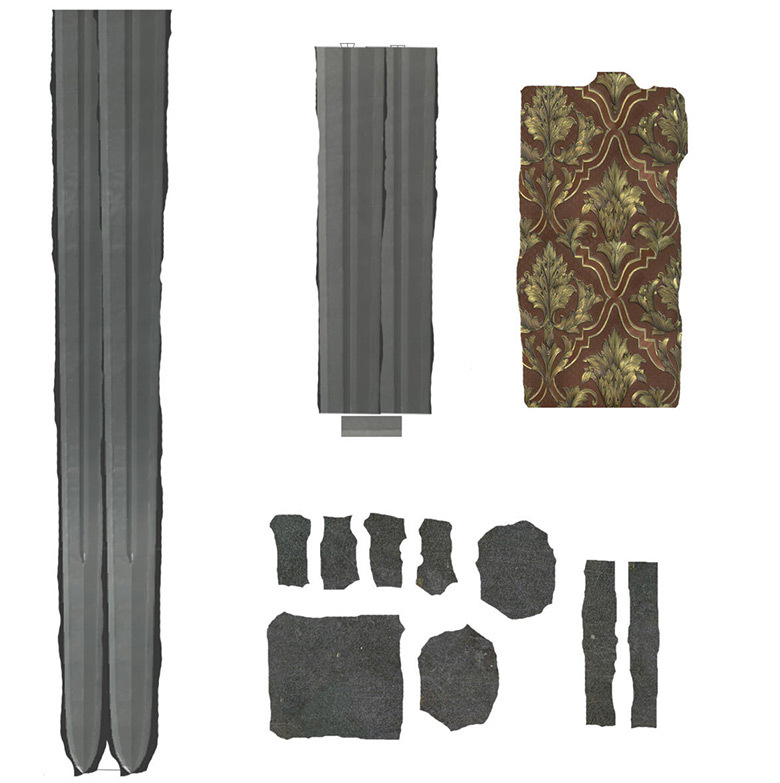 Here is my pretty basic rundown of texturing- I used Automatic Mapping and then used, cut and sew tools inside the UV texture editor to attach the parts together. Texturing is a lot more time consuming so take your time and have fun. My work is pretty basic, but it should be enough for this tutorial- I painted the textures in Photoshop, and they turned out not so clean. It could be a lot better, but to be honest I am too lazy to refine the textures. These are my final images. Congratulations guys we are in the end of this tutorial I hope you learnt something from the tutorial, if you have any kind of comments/feedbacks or suggestions please feel free to write me I would be glad to hear from you.